Apple has long been attempting to take over the Television. Efforts so far have been mostly unsuccessful. And now we have Apple’s New TV App, a full fledged and robust app to control your Apple TV and even your regular ole TV. 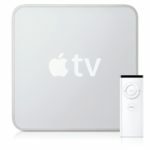 Apple first began showing TV ambitions with the introduction of the Apple TV in 2006. The device allowed users to sync a box with their computers, loading on their media, and plug the box into the TV to access their content. 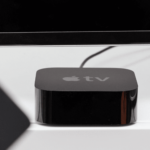 In 2010, Apple introduced the 2nd-generation Apple TV, ushering in a new era of set-top boxes. The device synced to your iTunes and Netflix accounts over the internet and allowed users to easily stream content. It was around this time that it became clear Apple had bigger plans for TV than making your iTunes content accessible. Steve Jobs famously ends off his biography talking about his desire to reinvent the TV, a project which Apple continued long after his passing. 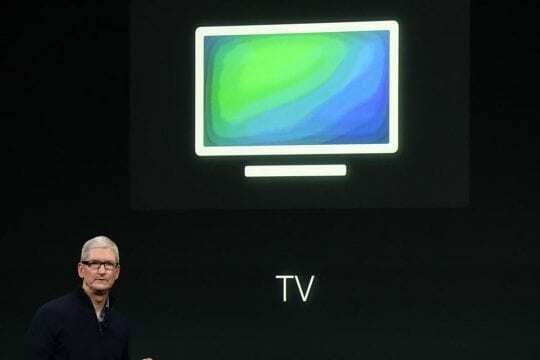 Apple worked on a television set for a number of years, according to both sources familiar with the matter and Tim Cook himself during interviews. 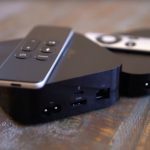 The device would likely work similar to the current Apple TV box software wise, but also include an Apple display. Apple ultimately decided against doing a television for a number of reasons. One of the reasons was Apple was worried about the price and upgrade rates of TVs. It is unlikely a customer would upgrade an Apple television every year-or-two. Most consumers would wait up to 5 years. Another reason was Apple was having trouble getting together the other side of their TV plan: content. Apple began working on what is now tvOS a number of years back. The goal was to create a new operating system that would feature a fully functioning App Store for developers, as well as a new television subscription service from Apple. Apple’s cable-competitor was likely too ambitious for its time. Apple went to all of the United States major content producers – including Fox, Disney, NBC, CBS, and others – with an unorthodox offer. Currently, content providers are paid a solid rate for their content being available on the cable operator, with a renegotiation every year or so. Apple wanted to pay by the user, with differentiating rates based on how much Apple valued the content. The service would have launched at a set price, around $35 a month, and would have presented both live and on-demand content. 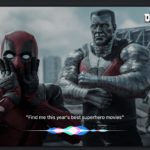 Users would be able to watch their content through a seamless app which would prioritize the content over the network, similar to Apple’s recently introduced TV app. 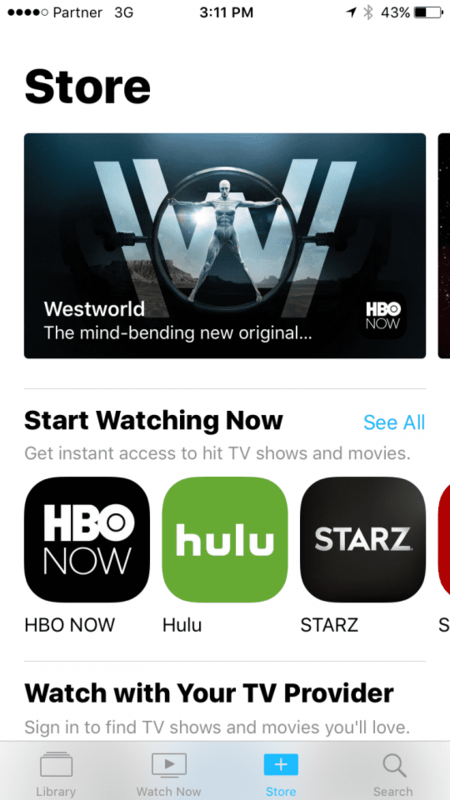 The content providers weren’t willing to play, and this led Apple to a new “Future of TV is Apps” strategy, putting emphasis on the App Store of the Apple TV for content. The truth is, however, that Apple thinks the future of TV is content, as evident by the companies new TV app. The new TV app could be seen as more of a new Homescreen than an app. When launched, you’ll be greeted with beautiful artwork of the latest content you’ve watched. You’re able to search through and find other content, and even discover new content. Services are barely mentioned, and clicking on a title pushes you right into the video, blurring the lines between App and Television. 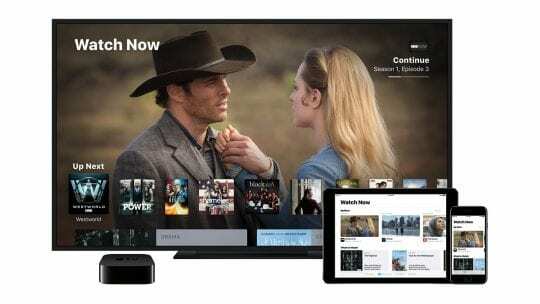 Additionally, Apple will soon launch a single sign-on feature, allowing users to sign into their cable operator through the Apple TV settings once, and automatically gain access to all content available through their subscription. All of this is a major deal: Apple is trying to bury away apps and replace them with just content. There are a few major hiccups, however. On the TV side, Apple has yet to reach a deal with Netflix, though there are whispers that it is on the horizon. 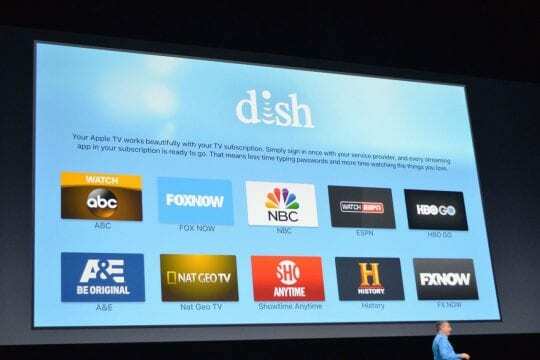 Single sign-on, however, only works with a handful of smaller content operators in the US, and does not support Comcast, Time Warner Cable, or Charter. This likely won’t change anytime soon, as cable operators are unwilling to give up control to Apple. Apple wants to disrupt TV, but TV isn’t ready for disruption. 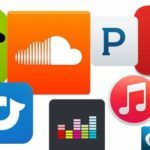 When Apple went to the record labels in order to put together iTunes, the industry was in shambles. Pirated music was flying around left and right, and record labels had nothing to lose by giving Steve Jobs a chance to fix things. Cable isn’t dying yet. While Netflix, Hulu, and others have certainly made a dent, cable operators, and content providers aren’t nearly ready to start giving up control and admit danger. Five years down the road things might change. Cable users aren’t going to increase, and services like Netflix will continue to grow in numbers. The revolutionization of the cable industry isn’t ready yet, but it will be eventually – and when it does, Apple will be standing there, ready, with a full system in place ready to go.